DLT to offer innovative Nuix USG solutions, expanding DLT’s robust cybersecurity and data analytics stack. HERNDON, VA (September 18, 2018) - DLT Solutions, the premier government aggregator, and Nuix USG, a cybersecurity, risk, and compliance software company, today announced a partnership to help address government’s IT modernization efforts. Nuix USG solutions reduce the time it takes to detect an impending or ongoing cybersecurity attack, accelerate recovery time, and thereby ensure a consistent, repeatable process across all cases. 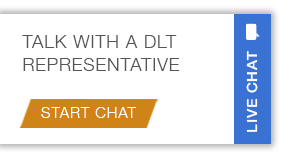 "DLT is very excited about our new partnership. Nuix USG enhances DLT’s cybersecurity and data solution portfolios," said DLT Vice President of Sales Chris Wilkinson. "Nuix USG offers our partners and our government customers’ enterprise solutions that improve the protection of our government's data and accelerate responses to cybersecurity threats to our nation’s networks." With the use of the Nuix Adaptive Security solution, government customers can compress response time and endpoint activity across the enterprise to quickly anticipate and respond to threats, quickly adapt to changing threats, stop threats in real-time, and get intelligent endpoint visibility. Additionally, Nuix USG offers eDiscovery capabilities, which allows for information governance, incident response, digital investigations, and more. "This partnership with DLT will provide public sector agencies access to software that will transform the way they can understand the DNA of their own data at enormous scale,” said Dan Dorchinsky, president of Nuix USG. “As data volumes and variety continue to grow, government agencies need software to pinpoint critical information required to anticipate, detect, and act on cybersecurity, risk, and compliance threats. We’re thrilled to join DLT’s team of partners and resellers who strive to make these types of solutions readily accessible to government agencies." Nuix USG solutions are on the approved DHS GSA Continuous Diagnostics and Mitigation (CDM) product list and immediately available for procurement through the GSA and SEWP contract vehicles, which ease the procurement and deployment process for public sector customers. Nuix USG is a legal U.S. entity and a wholly owned and operated subsidiary of Nuix North America, Inc. Established to support the unique needs of U.S. Government agencies and educational institutions, Nuix USG solutions enable customers to understand the DNA of their data at enormous scale. Our software pinpoints the critical information that agencies and institutions need to anticipate, detect, and act on cybersecurity, risk, and compliance threats. Our intuitive platform identifies the hidden connections between people, objects, locations, and events – providing real-time clarity, control, and efficiency to uncover the key facts and their context. To learn more, visit www.NuixUSG.com.